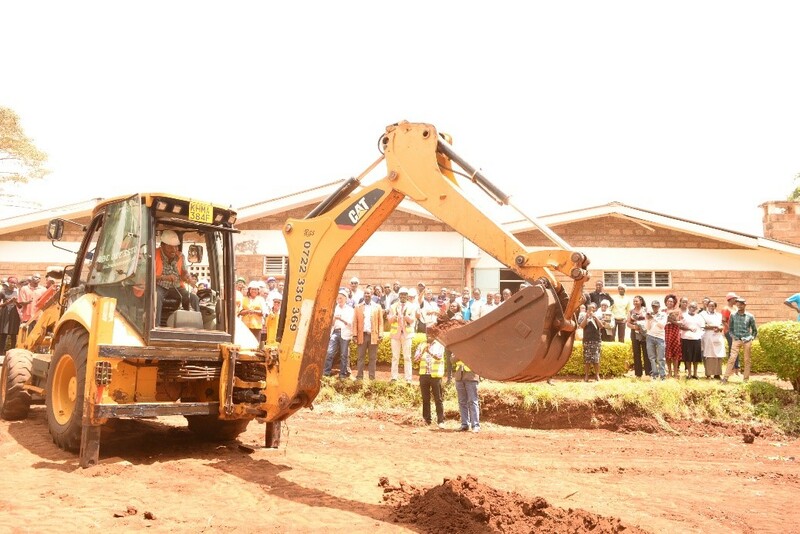 On Friday, 8th February, LVCT Health participated in the groundbreaking ceremony of the first specialty clinic for recovering drug addicts also known as a Medically Assisted Therapy (MAT) Clinic at the Karuri Level 4 Hospital in Kiambu County. The event was graced by the Kiambu county governor Hon. Ferdinard Waititu who pledged to support the project with a van that will offer transport to & from the clinic for recovering drug addicts across the 12 constituencies of the county. The clinic will offer comprehensive service to recovering addicts including HIV prevention services, HIV testing, and condoms distribution, screening for STIs, Hepatitis B & C and Medically-Assisted Therapy (MAT). The construction of the MAT clinic is funded by Medicine Sans Frontiers (MSF) and supported by LVCT Health, National AIDS and STIs Control Programme (NASCOP) and the Kiambu County Government. It is estimated that there are 1,310 people who inject drugs in Kiambu, a key population that is at high risk of HIV infection. The harm reduction involves providing needles and syringe to recovering addicts to prevent the spread of HIV. A beneficiary of LVCT Health’s work with recovering addicts, Michael Muiruri gave an account of his successful road to recovery after a 10 year addiction that estranged him from family and saw him degenerate into a petty thief. He implored the governor to set aside a budget to help recovering addicits readapt to society. LVCT Health conducts a 7 day inception sessions to the PWIDs, which run through a number of counselling sessions, including group and family therapy to prepare the addicts on the journey of recovery. The Kiambu Governor, Ferdinand Waititu asked the youth not to waste their youth on drugs but to use their time to set foundations for a successful future.